Our professionally trained staff has been committed to customer service and providing a job well done since 1978. We'd like to thank the many satisfied customers who have referred their friends and family to us through the last 30 plus years. 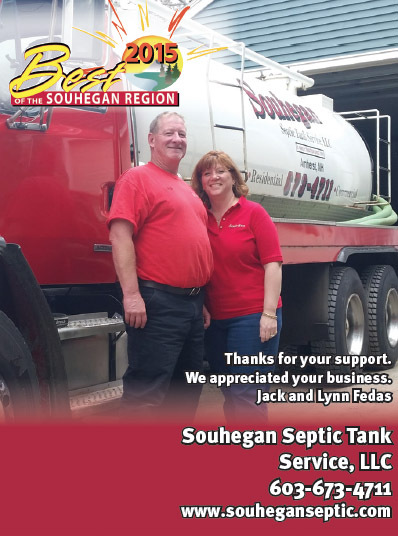 We feel that your loyalty is a direct reflection of the quality service, reasonable rates and friendly encounter you have experienced with every Souhegan Septic service call. Watch Our New 45 Second Video! 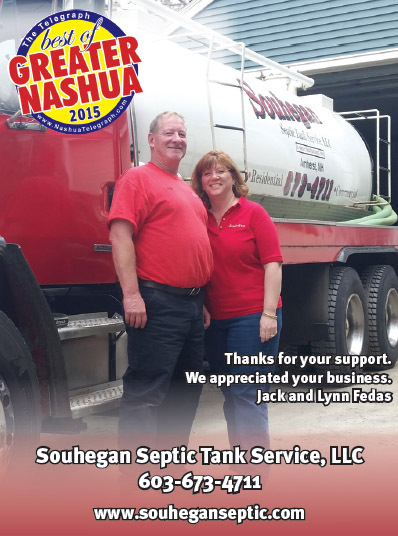 View our Thank You's for the 2015 Best of the Souhegan Region Award and the 2015 Best of Great Nashua Award! 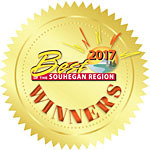 Read our Interview on the NewHampshireHomes.com website.